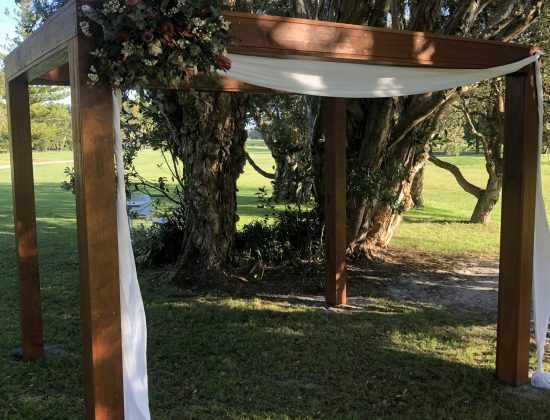 Tie the knot on the golf course under our brand new hardwood timber arbour, with stunning natural paperbarks and golf course greens as your backdrop. Guests will enjoy being just a short stroll away from your Reception. This is one of Yamba’s greenest, ceremony locations.